Alcohol is one of the most commonly used and abused drugs by teenagers across the United States. Drinking can have short-term effects on the teen’s life. But, also causes a lot of long-term consequences as well. Adolescents and young adults are the most likely to binge drink, and they drink a lot of alcohol in one binge. For these particular age groups, brain development has not finished, so consuming a lot of alcohol means that they can struggle with mental, behavioral, and brain structure development problems. Drinking as a teen can actually be more damaging than if an adult does it, as the teen brain is in a crucial stage of development. Heavy or regular drinking during this time can end up causing lifelong brain damage, impairment to brain function, and it can put you at risk for developing a host of health problems. 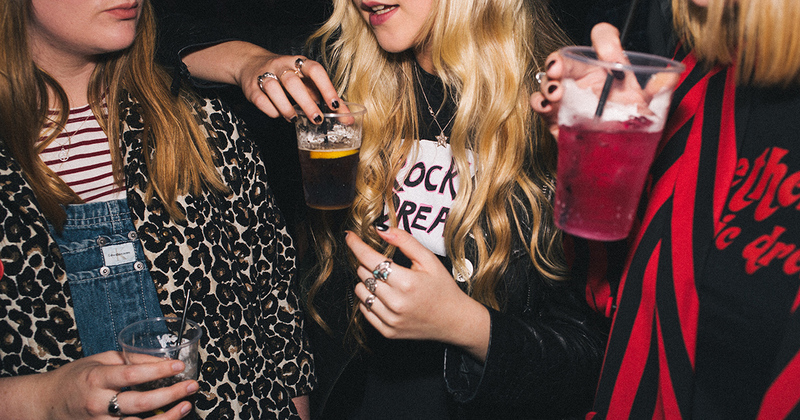 Teen drinking also sets the scene for developing alcoholism during adulthood. Now, researchers at the University of Illinois at Chicago Center for Alcohol Research in Epigenetics have shown that some of these lasting changes are the result of epigenetic changes that alter the expression of a protein crucial for the formation and maintenance of neural connections in the amygdala — the part of the brain involved in emotion, fear and anxiety. Their results, which are based on the analysis of postmortem human brain tissue, are published in the journal Translational Psychiatry. Epigenetics refers to chemical changes to DNA, RNA or specific proteins associated with chromosomes that change the activity of genes without changing the genes themselves. Epigenetic modifications have to do with the normal development of the brain, but they can be influenced by environmental or even social factors, such as alcohol and stress. These kinds of epigenetic alterations have been linked to changes in behavior and disease. Moreso, usually, RNA is involved in the production of proteins from DNA, but this one is not. BDNF-AS regulates a gene that produces a protein called BDNF. This protein is a growth factor and is crucial for the normal formation and maintenance of synapses throughout the brain. When there is more BDNF-AS, there is less BDNF. The brain tissue of early-onset drinkers had 30 percent to 40 percent less BDNF compared with brain tissue from people with no history of alcohol use disorder. This reduction in BDNF was not seen in brain samples from late-onset drinkers or from people with no alcohol use disorder. Studies have also shown that the amygdala from people who started drinking after age 21 were not affected at all. The epigenetic changes we saw in the amygdala of early-onset drinkers can alter the normal function of the amygdala, which helps regulate our emotions, and may cause individuals to be more susceptible for things like anxiety, which we have shown in other studies, or the development and maintenance of alcohol use disorder later in life. When you’re younger the brain is primarily focused on growth and generating new cells. Once you’re an adolescent this shifts towards creating new neural pathways. These new neural pathways help to relate information to different parts of the brain. Research suggests that drinking through the teen years will reduce the ability to complete memory oriented tasks, and can even impair the development of the frontal regions of the brain. In fact, teens who drink before the age of 15 are 40% more likely to develop alcohol dependency as an adult. The earlier a person begins drinking the more likely they are to develop alcohol-related problems as an adult. If you’re a parent of a teen who you suspect is drinking, it’s important to talk to them, or get them the required help as soon as possible.